Giant devil rays are not a popular target for Gaza’s fishers, yet when hundreds of the mobulids mysteriously appeared within the limited range of their nets, they rushed to land them. The strange phenomenon of the rays’ sudden arrival puzzled marine researcher Mohammed Abudaya and he set out to discover what was behind it – and learn more about the political background to the fishermen’s response. Two Palestinian children look out of a window in a mural painted by Akot, a German artist who made paintings out of houses destroyed in the Israeli offensive on Gaza in July and August 2014. The mural depicts the face of a Palestinian child looking for a future and the words 'I see hope in the eyes of our children' in Arabic. In the last few days of February 2013, news pages around the world depicted gory scenes on beaches along the Gaza Strip. Unlike the usual stories from the beleaguered Palestinian territory, these images were not political. Rather, they showed a dimly lit beach littered with hundreds of massive, flattish carcasses of what might easily be mistaken for manta rays. In a video published by the International Business Times (IBT), boats deep in the water and heavily laden with large, black fish can be seen approaching the shore. Throughout the dark hours of the morning and into the first few hours of daylight, fishermen worked in pairs to drag the hefty animals off the boats and onto the sand, where they laid them out in rows: a macabre jigsaw of triangular carcasses stretching to the far end of the beach. As day broke, horse-drawn carts were brought down to the shore. Tons of meat were loaded into them and ferried to markets throughout Gaza to be sold for about US$2 per kilogram. The gruesome images and footage went viral and sensation-seeking journalism sent conflicting reports of the landings around the world. The lives of fishermen are among the hardest in Palestine and in the video published by the IBT the men can be heard thanking God for their good fortune. Many local publications referred to the event as ‘a gift from God’ – a phrase misinterpreted by international media houses, which stated that the hundreds of rays had ‘washed ashore’ over the course of two days and suggested that a mass stranding had taken place. For the next few days possible reasons for the incident were debated in comment forums and on social media around the world – and one local television report caught the attention of a certain Dr Mohammed Abudaya in Palestine. A marine and coastal management lecturer and researcher at the Islamic University of Gaza and Al-Azhar University, Mohammed became determined to understand the science behind how more than 500 endangered rays had been caught and killed in just a few days on Palestinian shores. He was contacted by Daniel Fernando of the Manta Trust, who offered support and encouraged him to get in touch with the Save Our Seas Foundation to apply for funding. The species that was landed, the giant devil ray Mobula mobular, is the largest in its genus and the only one found in the Mediterranean Sea. It has been classified as Endangered by the International Union of the Conservation of Nature (IUCN) because of its low reproductive capacity, limited range and high propensity for being taken as by-catch. In the past, according to Gazan fishermen, these rays were often present in Palestinian waters around March, but until the massive haul in 2013 they had not been seen for six years. A fisherman holds up a large piece of mobula meat. It is not a popular food source among Palestinians, but because it is inexpensive, it is consumed by the poor. Soon after the landings Mohammed started his work into the mystery behind Gaza’s Mediterranean devils. 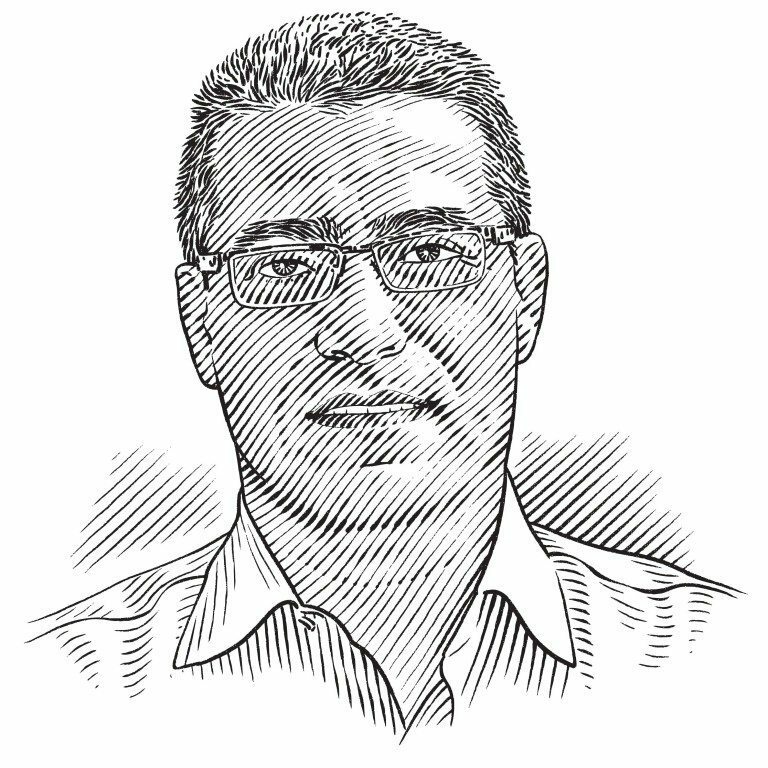 He has been working along the Palestinian coast since 2001, when he became involved in a project called Gaza Coastal Management that formulated a management plan for marine ecology and tackled local fisheries management and overfishing. All fish species, including sharks and rays, came under his scrutiny, but even as a marine scientist he had not come across the giant devil ray until 2013. 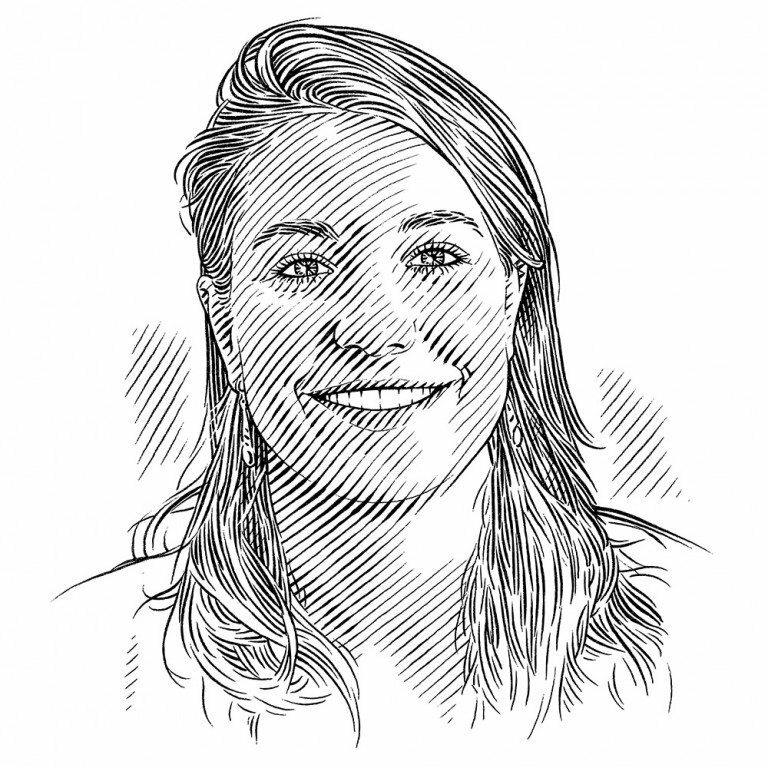 ‘Nobody talks about fishing for Mobula mobular in the Eastern Mediterranean and nobody has tackled this issue from a scientific point of view before. I am the first one, which makes me very proud,’ he says. In fact, very little is known about the giant devil ray anywhere in its range. Until 2011, when Italian biologists published a paper describing its diving behaviour, the only available information came from by-catch data and opportunistic sightings. Growing up to 6.5 metres (21 feet) long and up to five metres (16 feet) wide, but generally seen at about three metres (10 feet) long, the giant devil ray is second in size only to oceanic mantas among the mobulids. Like the pygmy devil ray, its better-known, flying cousin, the giant devil ray travels in groups, stays close to the surface and migrates across vast distances. It feeds on plankton, small pelagic fishes and krill, and scientists believe that it lives for about 20 years. As in most elasmobranchs, the underlying weakness in the giant devil ray’s capacity to cope with pressure is its very slow rate of reproduction. A female gives birth to only one live pup and is pregnant for a staggering 25 months. Newborns can be almost two metres (6.5 feet) wide and the largest on record weighed 35 kilograms (77 pounds)! When researching the giant devil ray, the Italian team, led by Simonepietro Canese, satellite-tagged three individuals in the Central Mediterranean and tracked their movements over the next four months. The rays in this population are believed to arrive in the Central Mediterranean in June and July and leave again in mid-September. The satellite data showed that the animals dive to depths of between 600 and 700 metres (2,000 and 2,300 feet), but spend more than 80% of their time between the surface and 50 metres (165 feet), presumably because they prefer the warmer water temperatures of 20–29 degrees Celsius (68–84 degrees Fahrenheit). This tendency to stay close to the surface has made the giant devil ray susceptible to becoming incidental by-catch, especially in floating drift nets that were used to target swordfish – a method that is now illegal. However, the rays are still caught on long-lines and in purse-seine and trawl nets and are also vulnerable to oil spills and heavy marine traffic. The IUCN suspects that over the past 60 years (three generations), 50% of the entire population of giant devil rays in the Mediterranean has disappeared. Mohammed Abudaya on a fishing boat with its catch of giant devil rays. For an already vulnerable species, a catch of over 500 in just two days could be disastrous. Although mobula rays are not targeted in most of the Mediterranean, Palestinian fishermen have very few options and elasmobranchs are an important resource for them. The Gaza Strip is home to more than 1.7 million people and is considered to have the 13th highest population growth rate in the world. And, with only 45 kilometres (28 miles) of coastline, the local marine ecosystem is under major pressure. Since 2013, Mohammed has focused on creating a basis for understanding the Eastern Mediterranean population of giant devil rays from both a biological and a socio-economic point of view. From his conversations with fishermen he has learnt that Gaza’s devil rays migrate from the north-eastern Mediterranean (Turkey, the Greek Islands, Cyprus and Malta) to arrive in the south-east (Palestine, Egypt, Syria and Israel) in about mid-January. Then in late April or early May, they return northward. To understand what was behind the fishermen’s massive haul in 2013, it is necessary to look at both the scientific data and the political situation at the time. Access to the sea has been a contentious issue in Israeli–Palestinian relations since the year 2000. According to the 1993 Oslo Peace Accord, Palestinians should be allowed to fish as far as 20 nautical miles from their coastline. However, fishing rights have become a means of control for the Israelis, who increase or decrease restrictions based on the political climate at the time. This has crippled the local fishing industry and reduced the once wealthy fishing community to paupers. There are currently 3,500 fishermen trying to make a living from Gaza's 45-kilometre-long coastline. They are only permitted to fish between three and 12 nautical miles from shore, depending on the current restrictions imposed by the Israeli government. Until 2006, Palestinians could travel up to 12 nautical miles in search of fish, but since then they have been limited to fishing within 3–6 nautical miles of the coast. In those last few days of February 2013, the stage was set for a fateful collision between man and ray. A huge aggregation of giant devil rays was travelling along the Gazan coastline, moving with the warmer water and mating. For reasons we may never know, they swam into shallower water, within reach of the hungry Palestinian fishing fleet. The fishing boats had not come across anything like this for six years and the unfortunate mobulas winged their way straight into a wall of purse-seine nets, giving fishermen one of the greatest hauls they had ever seen. For them it was a bounty so great that it had to be a blessing from God, or at least compensation for the misery that the Israeli restrictions had brought to them and their families. The fishermen were excited by the sheer volume of their catch, but even in Gaza mobula rays are not a desired food source. The meat is sold for a very low price and, as Mohammed explains, ‘Most of the fishermen don’t consume the meat of this species. They say to me, “It’s not nice meat. We don’t like it.”’ Poor people eat the rays because at US$2–3 per kilogram it is affordable; other seafood options can cost as much as US$7–12 per kilogram. Statistically, Palestinians consume the least fish of any nation in the Mediterranean. Even someone who earns well can only afford to eat fish about once a week. Most cannot buy it even once a month. Fishers will catch whatever they can within the limited fishing zone in order to eke out a living and cover fuel costs. But, according to 39-year-old Nehad El Hessi, most would not choose to target devil rays at all because they generally cannot net the quantities that make it worthwhile. ‘Last year I went to sea several times during the season to catch mobula, but only managed to catch a few,’ he says. ‘The money I earned from selling them did not cover fuel costs and the expense of paying my crew. Going after mobula is something we don’t like doing at all. If we had a choice, we would go for other species, but the permitted fishing zone is empty of fish.’ Ideally, fishermen trawl for shrimps or fish species like mullet and sardines or they catch pelagics, including large sharks. When mobulas are caught, it is generally in purse-seine nets. Fishermen drag giant devil rays from their boats onto the beach. Growing to more than six metres in length, these are the largest of the mobulas. The most serious global threat facing mobulid rays today is the international trade in manta and mobula gill rakers, which are dried and sold in East and South-East Asia for use in traditional Chinese medicine. From what Mohammed has learnt in interviews, there used to be a modest gill-raker trade in Gaza, but it has not existed for many years. Fishermen would sell the gills to Egyptian dealers, who in turn sold them to the international market. Now, because of tight restrictions on movement between Egypt and Palestine, it is very difficult for Palestinians to get access to the trade and only a handful of the fishermen that Mohammed spoke to had ever been involved in it. Although the Egyptian government has banned fishing for giant devil rays, some illegal fishing continues. In addition to investigating the fishery over the past three years, Mohammed has been collecting biometric data and DNA samples at various landing sites along the Gazan shore during devil ray season. Catch numbers have varied greatly over that time. In 2014, the fishing zone was limited to three nautical miles during mobula season and only 30 devil rays were caught. The number rose to 84 the following year and within the first few months of 2016 Mohammed and his team had collected data from 150 specimens, most of which were caught within five nautical miles of the shore. It is still a mystery why giant devil rays are swimming so close to the coastline when they move past Gaza, but by the time they return again we should have some answers. On 1 April this year, Mohammed fitted satellite tags to three rays: two males and a female. The information collected by the tags will give him the empirical evidence he needs to confirm the migratory patterns of the rays. This will be critical for understanding their movements and implementing protective measures within the Eastern Mediterranean. Earning a living to support their families is a daily struggle for Gaza's fishermen. It is common for children to work in the fish markets at night to help their parents. In the meantime, the researcher and his team will continue to work with fishermen in a bid to protect Gaza’s mobulas. ‘I believe that at the local level it’s easy to convince our people to take part in conservation. This year we will be conducting conservation awareness sessions with the fishers. We expect that after some very intense workshops, they will voluntarily stop catching shark and ray species,’ he explains. Fishery officials have a very supportive relationship with Gaza’s fishermen and Mohammed has asked them to assist him during workshops. From the sessions he has held so far, he has learnt that fishermen know very little about the life history of elasmobranchs and they were not aware that the giant devil ray is an Endangered species. He has also started conversations with the Palestinian government about formulating a regulatory framework to protect devil rays and other vulnerable elasmobranchs. Mohammed believes that his efforts are already starting to pay dividends. Of the 150 rays killed so far in 2016, 95 were targeted and 55 were netted as by-catch. Although the overall number has increased, he views this as a positive statistic. If such a large proportion of the animals are being caught unintentionally, it means that fishers are choosing to not target them, which would not have happened in the past. Conservationists may find it difficult to accept the slaughter of so many endangered animals, but it is just as difficult to not sympathise with the fishermen. In 2000 there were 10,000 people making a modest but stable living from the sea. Since then thousands of families have lost their income and currently 3,500 fishers are working on 700 boats in Palestinian waters and earning less than US$200 per month. Fishermen who have taken the risk of fishing outside the restricted zone in a desperate attempt to increase their catch have lost their boats – in some cases even their lives. Others have been forced to undress at gunpoint and swim from their vessels to Israeli navy boats, regardless of weather conditions. A policeman observes tens of rays that have been landed at Gaza in the early hours of the morning. Before Dr Abudaya began his workshops, fishermen were not aware this mobula is an Endangered species. In the face of this kind of desperation, it is difficult to imagine how Palestinian fishermen might be open to the conservation of mobulas or any other animal. But Mohammed sees it differently. ‘Why? I have asked many fishermen this question. They told me, if the sea were open and they were allowed to go further than six nautical miles, they would not even stop their boats and look at this species. They would have no time for it. There are too many other fish they could go after,’ he explains. This was echoed by 42-year-old Shaker Salah. ‘We are forced to catch mobulas because we are fishing in a very limited zone and we need to cover the expenses of fuel and feed our children,’ he says. ‘If the fishing zone was expanded, we would not target this species at all.’ If this is true, there is hope for the mobulas, especially as the Israeli government has recently increased Gaza’s fishing zone from six to nine nautical miles along the southern part of the coastline. Mohammed Abudaya taking measures and samples of giant devil rays caught and displayed on the beach. Giant devil rays are not a popular target for Gaza’s fishers, yet when hundreds of the mobulids mysteriously appeared within the limited range of their nets, they rushed to land them. The strange phenomenon of the rays’ sudden arrival puzzled marine researcher Mohammed Abudaya and he set out to discover what was behind it – and learn more about the political background to the fishermen’s response. This film was shot in early 2016 for the Save Our Seas Foundation by Wissam Nassar.